Obituary – Lavington, Clarissa “Amelia” « Perry High School Alumni Association, Inc.
Clarissa Amelia Lavington, 77, died at approximately 7 p.m. Friday at her home at the Progressive Apartments at 1403 Ninth street. Funeral will be at 2 p.m. Wednesday at the chapel of Parker-Brown Funeral home. Dr. Charles Sapp, pastor of the First United Methodist church, will officiate. Burial will be at Grace Hill cemetery. 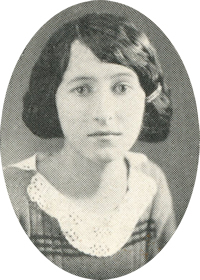 The daughter of Mr. and Mrs. Robert Lavington, she was born Sept. 25, 1907, at Perry. She attended rural schools in the Perry community and was a graduate of Perry high school. She was a twin sister of Rose Lavington, who preceded her in death Feb. 14, 1981. She was an employee of the Oklahoma department of transportation for 33 years and worked in the Jim Thorpe Building in Oklahoma City. 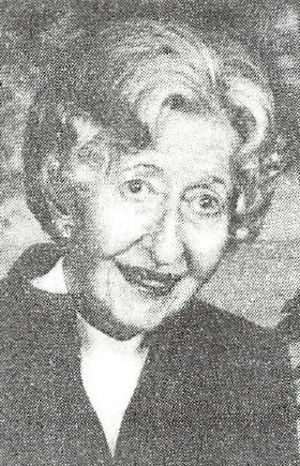 She retired in 1972 and moved back to Perry in 1977. She was a member of the First United Methodist church of Perry. In addition to her parents and her twin sister, she was preceded in death by another sister, Murial Whitney. Among survivors are one sister, Mrs. Florence Foster, Perry; three nieces, Sylvia Perkins, Tonkawa; Phyllis Price, Del City; and Maxine Moss, Shreveport, La. ; and a number of great-nieces and great-nephews.